You might find it all a bit sinister as a business owner, the thought of ‘spying’ on your employees to see where all the slackers are. Trust us when we say it doesn’t have to be anything as sinister as that. Monitoring the performance of your workforce shouldn’t merely be a one-way operation – both the employer and the employee should have a stake in their development. After all, it benefits the pair of you! The Human Resources experts behind Thirsty Horses – the employee performance software company – are here to give us a quick insight into the different methods you can adopt when it comes to monitoring and improving the performance of your employees! These are the go-to tactic for anyone trying to create a culture of self-improvement within the workplace. Problem is, people will only tend to have these meetings once and just expect their employee to follow through on the meeting with no guidance or support from themselves. This is obviously the wrong approach. Set out clear development targets and have regular meetings whereby you both ask your employee what steps they’ve taken to achieve those targets and how you can help them to achieve them. Most employers will just give a load of tasks to their employee which is thrown on top of their already sizeable workload – make sure you take all these factors into consideration before handing out more work! It’s important that standards don’t slip in business, because if they do, you’ll soon see your customer base slipping away too. What you need to be doing is spot checking the work of your employees to make sure that their work isn’t of a worse quality than it was when they started. It’s very easy to get comfortable in a position and then get somewhat complacent – which is why it’s important to keep workload varied and take your employees feedback into account. Keep an eye on their work will only be effective if you offer a productive solution to their motivation slipping – cracking the whip will only make them resent you! As this is Thirsty Horses’ bread and butter, we’d be remiss if we didn’t mention it. Using a digital productivity tool like our Workpal software is a fantastic way to monitor employee performance as it does a lot of the heavy lifting for the pair of you. These tools can be configured to set up calendar reminders for when certain deadlines must be met. You can spread across goals across your whole workforce, so you can make sure people aren’t doubling up on work and everyone has a tailored goal for themselves and an overall goal shared across departments to help improve the company as a whole. 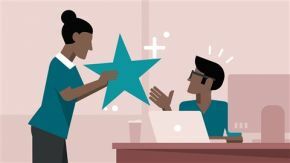 So there we have it, three sure-fire ways to monitor and improve the performance of you your employees – it’s best to remember that improvement works best when there’s a team focus, so try to help your workforce where possible.